China has to feed nearly three times the number of people per unit of land as the rest of the world – it has a fifth of the world’s entire population, with 1.4 billion people to feed. However, the country is an agricultural powerhouse, accounting for nearly 550 million tonnes of total global vegetable production. So, there should be no problem feeding the masses, right? Urbanisation has ploughed under millions of acres of arable land, and almost 20% of what remains is contaminated or set aside for restoration. On top of that, its newly wealthy middle class is eating a diet that increasingly resembles that of the West, including resource-intensive foods such as meat and dairy. Dairy and meat consumption quadrupled among city dwellers between 1995 and 2010. China also now buys far more processed foods, increasing about two-thirds from 2008 to 2016. Much of rural China is also heavily fragmented and thus highly inefficient — the average household cultivated a mere 1.2 acres in 2013. In response to this conundrum, the Chinese government is funnelling billions of dollars into agricultural technology, or ag-tech, to maximise its resources and face these kinds of challenges head-on. For one thing, the government is supporting new automation tools for the agriculture sector. In June last year, Beijing launched a seven-year autonomous agriculture pilot program in Jiangsu Province to test a range of automated farming technologies, such as unmanned combine harvesters or robotic tractors. In the same vein as state-backed efforts to create driverless cars, robotics and other automated tech, this initiative looks to turn tasks that were once done by hand or with heavy machinery, such as pesticide application or irrigation, into a seamless, automated process. Also in June last year, another development transpired in the ag-tech field, when China’s answer to Amazon, Alibaba, launched the ET Agricultural Brain — a digital tool that lets farmers digitally record information about their yields in order to better leverage the entire production cycle, heightening efficiency and capacity. Chinese agri-food startups raised $1.8 billion in funding in 2017, according to a report from online venture capital investor, AgFunder, and Chinese accelerator and VC, Bits x Bites. The vast majority of that investment flowed to businesses operating downstream, close to the consumer. Support from China’s tech giants — Baidu, Alibaba and Tencent — drove a significant portion of the year’s investment activity. They were also responsible for more than $6 billion of agri-food acquisitions, with three transactions in the restaurant marketplace category — ele.me, Waimai Baidu, and Meituan & Dianping — selling for $5.8 billion collectively. This kind of activity illustrates China’s agricultural priorities, perhaps predicting the role the world’s most populous country is seeking on the global agriculture stage. China is poised to have a much larger footprint in the global food supply chain in the near future. 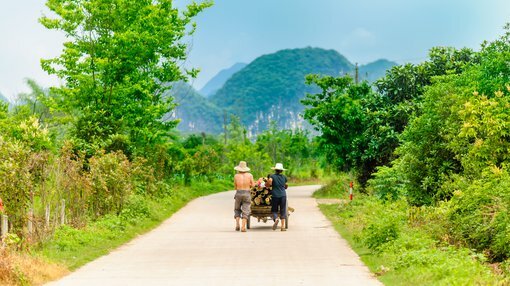 One ASX-listed ag-tech player with a considerable presence in the Chinese agricultural market is Roots Agricultural Sustainable Technologies (ASX:ROO). Roots is developing and commercialising disruptive, modular technologies to solve major problems in modern agriculture, including water shortages, food production security, ecosystem degradation, severe weather conditions and global warming. Its two patent-protected technologies, Root Zone Temperature Optimisation (RZTO) and Irrigation by Condensation (IBC), offer the farming community sustainable opportunities for considerable energy and cost savings. ROO now has commercial operations across Australia, China, Israel, US, Spain and South Korea, with plans for further expansion. Central to Roots’ foothold in China is its relationship with Dagan Agricultural Automation, its exclusive distribution partner in the country and one of the world’s leading ag-tech integrators. Fortifying its presence in China — whose vast agricultural requirements offer significant long-term sales opportunities for Roots’ technology — the company recently clinched a second commercial sale and installation deal with Dagan, which will see the duo working on a new project. Roots’ patented RZTO heating and cooling technology will be installed in 10,000 sqm greenhouses and growing five crops, including tomatoes, herbs and flowers. RZTO technology optimises plant physiology for increased growth, health, productivity and quality by stabilising the root zone temperature of the plant in question. It also mitigates against the impact of daily and seasonal temperature changes, helping farmers grow crops more effectively throughout the year. This temperature control technology has so far been successful on cannabis crops, lettuce, basil, chives, and, mostly recently, flowers. Notably, Roots is the only company in the world with commercially viable root zone cooling technology — a clear point of difference in the increasingly crowded ag-tech space, and something that gives the ASX small cap a pivotal advantage in China’s agricultural landscape. Roots’ new deal follows on from the successful completion of its first agricultural project with Dagan in China last year, wherein RZTO heating and cooling systems were installed in nine greenhouses. Crops grown in that first project are already showing strong yield and quality increases — especially critical in a country which accounts for 53% of global vegetable production. The new US$200,000 purchase order forms part of Dagan’s distribution agreement with Roots, with exclusivity conditional on US$19 million in sales over a five-year period. With the global population expected to exceed 10 billion by the end of 2050, smart ag-tech like Roots’ RZTO technology is expected to play a tangible role in meeting the growing demand for food, on top of other challenges such as declining arable land and salinity, access to water, and pest and disease issues. With its ability to provide sustainable solutions to real-world agricultural issues, ROO should only see rising demand for its technology — from China and beyond.